Recent Arrival! CARFAX One-Owner. Clean CARFAX. Odometer is 34715 miles below market average! Certified. 2015 Toyota Yaris Gray L 1.5L I4 DOHC VVT-i 16V 4-Speed Automatic with Overdrive FWD Toyota Combined Details: * Limited Comprehensive Warranty: 12 Month/12,000 Mile (whichever comes first) from certified purchase date. Roadside Assistance for 1 Year (for Toyota Certified Used Vehicles program), Limited Comprehensive Warranty: 12 Month/12,000 Mile (whichever comes first) from certified purchase date. Battery 8 years/100,000 miles (whichever comes first) from original in-service date. Roadside Assistance for 1 Year (for Toyota Certified Used Hybrids program) * Powertrain Limited Warranty: 84 Month/100,000 Mile (whichever comes first) from original in-service date * Transferable Warranty * Roadside Assistance * 160 Point Inspection (for Toyota Certified Used Vehicles program), 174 Point Inspection (for Toyota Certified Used Hybrids program) * Vehicle History * Warranty Deductible: $50 OUR MISSION IS TO SIMPLY BE THE BEST IN EVERY AREA OF OUR BUSINESS. WE WILL ACCOMPLISH THIS BY PROVIDING THE MOST EXCEPTIONAL CUSTOMER EXPERIANCE, BEING THE BEST PLACE TO WORK, AND STRONGLY SUPPORTING OUR COMMUNITY, ALL WHILE WORKIKG TOGETHER AS ONE WALKER!! CARFAX One-Owner. Clean CARFAX. Odometer is 22748 miles below market average! Certified. 2014 Toyota Corolla Green LE ECO 1.8L I4 DOHC CVT FWD Toyota Combined Details: * Transferable Warranty * Limited Comprehensive Warranty: 12 Month/12,000 Mile (whichever comes first) from certified purchase date. Roadside Assistance for 1 Year (for Toyota Certified Used Vehicles program), Limited Comprehensive Warranty: 12 Month/12,000 Mile (whichever comes first) from certified purchase date. Battery 8 years/100,000 miles (whichever comes first) from original in-service date. Roadside Assistance for 1 Year (for Toyota Certified Used Hybrids program) * Vehicle History * 160 Point Inspection (for Toyota Certified Used Vehicles program), 174 Point Inspection (for Toyota Certified Used Hybrids program) * Roadside Assistance * Powertrain Limited Warranty: 84 Month/100,000 Mile (whichever comes first) from original in-service date * Warranty Deductible: $50 OUR MISSION IS TO SIMPLY BE THE BEST IN EVERY AREA OF OUR BUSINESS. WE WILL ACCOMPLISH THIS BY PROVIDING THE MOST EXCEPTIONAL CUSTOMER EXPERIANCE, BEING THE BEST PLACE TO WORK, AND STRONGLY SUPPORTING OUR COMMUNITY, ALL WHILE WORKIKG TOGETHER AS ONE WALKER!! CARFAX One-Owner. Clean CARFAX. Certified. 2016 Toyota Corolla Gray LE 1.8L I4 DOHC Dual VVT-i CVT FWD Toyota Combined Details: * Vehicle History * Powertrain Limited Warranty: 84 Month/100,000 Mile (whichever comes first) from original in-service date * 160 Point Inspection (for Toyota Certified Used Vehicles program), 174 Point Inspection (for Toyota Certified Used Hybrids program) * Warranty Deductible: $50 * Transferable Warranty * Roadside Assistance * Limited Comprehensive Warranty: 12 Month/12,000 Mile (whichever comes first) from certified purchase date. 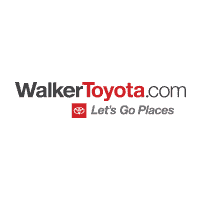 Roadside Assistance for 1 Year (for Toyota Certified Used Vehicles program), Limited Comprehensive Warranty: 12 Month/12,000 Mile (whichever comes first) from certified purchase date. Battery 8 years/100,000 miles (whichever comes first) from original in-service date. Roadside Assistance for 1 Year (for Toyota Certified Used Hybrids program) OUR MISSION IS TO SIMPLY BE THE BEST IN EVERY AREA OF OUR BUSINESS. WE WILL ACCOMPLISH THIS BY PROVIDING THE MOST EXCEPTIONAL CUSTOMER EXPERIANCE, BEING THE BEST PLACE TO WORK, AND STRONGLY SUPPORTING OUR COMMUNITY, ALL WHILE WORKIKG TOGETHER AS ONE WALKER!! CARFAX One-Owner. Clean CARFAX. Odometer is 13655 miles below market average! Certified. 2016 Toyota Corolla Brown LE 1.8L I4 DOHC Dual VVT-i CVT FWD Toyota Combined Details: * Warranty Deductible: $50 * Vehicle History * 160 Point Inspection (for Toyota Certified Used Vehicles program), 174 Point Inspection (for Toyota Certified Used Hybrids program) * Powertrain Limited Warranty: 84 Month/100,000 Mile (whichever comes first) from original in-service date * Transferable Warranty * Limited Comprehensive Warranty: 12 Month/12,000 Mile (whichever comes first) from certified purchase date. Roadside Assistance for 1 Year (for Toyota Certified Used Vehicles program), Limited Comprehensive Warranty: 12 Month/12,000 Mile (whichever comes first) from certified purchase date. Battery 8 years/100,000 miles (whichever comes first) from original in-service date. Roadside Assistance for 1 Year (for Toyota Certified Used Hybrids program) * Roadside Assistance OUR MISSION IS TO SIMPLY BE THE BEST IN EVERY AREA OF OUR BUSINESS. WE WILL ACCOMPLISH THIS BY PROVIDING THE MOST EXCEPTIONAL CUSTOMER EXPERIANCE, BEING THE BEST PLACE TO WORK, AND STRONGLY SUPPORTING OUR COMMUNITY, ALL WHILE WORKIKG TOGETHER AS ONE WALKER!! ABS brakes, Alloy wheels, Electronic Stability Control, Heated door mirrors, Illuminated entry, Low tire pressure warning, Remote keyless entry, Traction control. CARFAX One-Owner. Clean CARFAX. Odometer is 5351 miles below market average! Certified. 2016 Toyota Corolla White S Plus 1.8L I4 DOHC CVT FWD Toyota Combined Details: * Vehicle History * Warranty Deductible: $50 * 160 Point Inspection (for Toyota Certified Used Vehicles program), 174 Point Inspection (for Toyota Certified Used Hybrids program) * Powertrain Limited Warranty: 84 Month/100,000 Mile (whichever comes first) from original in-service date * Transferable Warranty * Roadside Assistance * Limited Comprehensive Warranty: 12 Month/12,000 Mile (whichever comes first) from certified purchase date. Roadside Assistance for 1 Year (for Toyota Certified Used Vehicles program), Limited Comprehensive Warranty: 12 Month/12,000 Mile (whichever comes first) from certified purchase date. Battery 8 years/100,000 miles (whichever comes first) from original in-service date. Roadside Assistance for 1 Year (for Toyota Certified Used Hybrids program) OUR MISSION IS TO SIMPLY BE THE BEST IN EVERY AREA OF OUR BUSINESS. WE WILL ACCOMPLISH THIS BY PROVIDING THE MOST EXCEPTIONAL CUSTOMER EXPERIANCE, BEING THE BEST PLACE TO WORK, AND STRONGLY SUPPORTING OUR COMMUNITY, ALL WHILE WORKIKG TOGETHER AS ONE WALKER!! ABS brakes, Alloy wheels, Electronic Stability Control, Heated door mirrors, Illuminated entry, Low tire pressure warning, Remote keyless entry, Traction control. CARFAX One-Owner. Clean CARFAX. Odometer is 8790 miles below market average! Certified. 2016 Toyota Corolla Blue S Plus 1.8L I4 DOHC CVT FWD Toyota Combined Details: * Powertrain Limited Warranty: 84 Month/100,000 Mile (whichever comes first) from original in-service date * 160 Point Inspection (for Toyota Certified Used Vehicles program), 174 Point Inspection (for Toyota Certified Used Hybrids program) * Vehicle History * Warranty Deductible: $50 * Limited Comprehensive Warranty: 12 Month/12,000 Mile (whichever comes first) from certified purchase date. Roadside Assistance for 1 Year (for Toyota Certified Used Vehicles program), Limited Comprehensive Warranty: 12 Month/12,000 Mile (whichever comes first) from certified purchase date. Battery 8 years/100,000 miles (whichever comes first) from original in-service date. Roadside Assistance for 1 Year (for Toyota Certified Used Hybrids program) * Transferable Warranty * Roadside Assistance OUR MISSION IS TO SIMPLY BE THE BEST IN EVERY AREA OF OUR BUSINESS. WE WILL ACCOMPLISH THIS BY PROVIDING THE MOST EXCEPTIONAL CUSTOMER EXPERIANCE, BEING THE BEST PLACE TO WORK, AND STRONGLY SUPPORTING OUR COMMUNITY, ALL WHILE WORKIKG TOGETHER AS ONE WALKER!! Ash w/Fabric Seat Trim. CARFAX One-Owner. Clean CARFAX. Certified. 2016 Toyota Camry Gray LE 2.5L I4 SMPI DOHC 6-Speed Automatic FWD Toyota Combined Details: * Powertrain Limited Warranty: 84 Month/100,000 Mile (whichever comes first) from original in-service date * Warranty Deductible: $50 * Limited Comprehensive Warranty: 12 Month/12,000 Mile (whichever comes first) from certified purchase date. Roadside Assistance for 1 Year (for Toyota Certified Used Vehicles program), Limited Comprehensive Warranty: 12 Month/12,000 Mile (whichever comes first) from certified purchase date. Battery 8 years/100,000 miles (whichever comes first) from original in-service date. Roadside Assistance for 1 Year (for Toyota Certified Used Hybrids program) * 160 Point Inspection (for Toyota Certified Used Vehicles program), 174 Point Inspection (for Toyota Certified Used Hybrids program) * Vehicle History * Roadside Assistance * Transferable Warranty OUR MISSION IS TO SIMPLY BE THE BEST IN EVERY AREA OF OUR BUSINESS. WE WILL ACCOMPLISH THIS BY PROVIDING THE MOST EXCEPTIONAL CUSTOMER EXPERIANCE, BEING THE BEST PLACE TO WORK, AND STRONGLY SUPPORTING OUR COMMUNITY, ALL WHILE WORKIKG TOGETHER AS ONE WALKER!! ABS brakes, Alloy wheels, Electronic Stability Control, Heated door mirrors, Illuminated entry, Low tire pressure warning, Remote keyless entry, Traction control. CARFAX One-Owner. Clean CARFAX. Odometer is 3032 miles below market average! Certified. 2016 Toyota Corolla Red S Plus 1.8L I4 DOHC CVT FWD Toyota Combined Details: * Roadside Assistance * 160 Point Inspection (for Toyota Certified Used Vehicles program), 174 Point Inspection (for Toyota Certified Used Hybrids program) * Warranty Deductible: $50 * Powertrain Limited Warranty: 84 Month/100,000 Mile (whichever comes first) from original in-service date * Vehicle History * Transferable Warranty * Limited Comprehensive Warranty: 12 Month/12,000 Mile (whichever comes first) from certified purchase date. Roadside Assistance for 1 Year (for Toyota Certified Used Vehicles program), Limited Comprehensive Warranty: 12 Month/12,000 Mile (whichever comes first) from certified purchase date. Battery 8 years/100,000 miles (whichever comes first) from original in-service date. Roadside Assistance for 1 Year (for Toyota Certified Used Hybrids program) OUR MISSION IS TO SIMPLY BE THE BEST IN EVERY AREA OF OUR BUSINESS. WE WILL ACCOMPLISH THIS BY PROVIDING THE MOST EXCEPTIONAL CUSTOMER EXPERIANCE, BEING THE BEST PLACE TO WORK, AND STRONGLY SUPPORTING OUR COMMUNITY, ALL WHILE WORKIKG TOGETHER AS ONE WALKER!! Ash w/Fabric Seat Trim. CARFAX One-Owner. Clean CARFAX. Odometer is 1221 miles below market average! Certified. 2016 Toyota Camry Black LE 2.5L I4 SMPI DOHC 6-Speed Automatic FWD Toyota Combined Details: * 160 Point Inspection (for Toyota Certified Used Vehicles program), 174 Point Inspection (for Toyota Certified Used Hybrids program) * Warranty Deductible: $50 * Roadside Assistance * Limited Comprehensive Warranty: 12 Month/12,000 Mile (whichever comes first) from certified purchase date. Roadside Assistance for 1 Year (for Toyota Certified Used Vehicles program), Limited Comprehensive Warranty: 12 Month/12,000 Mile (whichever comes first) from certified purchase date. Battery 8 years/100,000 miles (whichever comes first) from original in-service date. Roadside Assistance for 1 Year (for Toyota Certified Used Hybrids program) * Powertrain Limited Warranty: 84 Month/100,000 Mile (whichever comes first) from original in-service date * Transferable Warranty * Vehicle History OUR MISSION IS TO SIMPLY BE THE BEST IN EVERY AREA OF OUR BUSINESS. WE WILL ACCOMPLISH THIS BY PROVIDING THE MOST EXCEPTIONAL CUSTOMER EXPERIANCE, BEING THE BEST PLACE TO WORK, AND STRONGLY SUPPORTING OUR COMMUNITY, ALL WHILE WORKIKG TOGETHER AS ONE WALKER!! Almond w/Fabric Seat Trim. CARFAX One-Owner. Clean CARFAX. Certified. 2016 Toyota Camry Ruby LE 2.5L I4 SMPI DOHC 6-Speed Automatic FWD Toyota Combined Details: * Warranty Deductible: $50 * Transferable Warranty * 160 Point Inspection (for Toyota Certified Used Vehicles program), 174 Point Inspection (for Toyota Certified Used Hybrids program) * Roadside Assistance * Powertrain Limited Warranty: 84 Month/100,000 Mile (whichever comes first) from original in-service date * Vehicle History * Limited Comprehensive Warranty: 12 Month/12,000 Mile (whichever comes first) from certified purchase date. Roadside Assistance for 1 Year (for Toyota Certified Used Vehicles program), Limited Comprehensive Warranty: 12 Month/12,000 Mile (whichever comes first) from certified purchase date. Battery 8 years/100,000 miles (whichever comes first) from original in-service date. Roadside Assistance for 1 Year (for Toyota Certified Used Hybrids program) OUR MISSION IS TO SIMPLY BE THE BEST IN EVERY AREA OF OUR BUSINESS. WE WILL ACCOMPLISH THIS BY PROVIDING THE MOST EXCEPTIONAL CUSTOMER EXPERIANCE, BEING THE BEST PLACE TO WORK, AND STRONGLY SUPPORTING OUR COMMUNITY, ALL WHILE WORKIKG TOGETHER AS ONE WALKER!! Almond w/Fabric Seat Trim. CARFAX One-Owner. Clean CARFAX. Certified. 2016 Toyota Camry Tan LE 2.5L I4 SMPI DOHC 6-Speed Automatic FWD Toyota Combined Details: * Limited Comprehensive Warranty: 12 Month/12,000 Mile (whichever comes first) from certified purchase date. Roadside Assistance for 1 Year (for Toyota Certified Used Vehicles program), Limited Comprehensive Warranty: 12 Month/12,000 Mile (whichever comes first) from certified purchase date. Battery 8 years/100,000 miles (whichever comes first) from original in-service date. Roadside Assistance for 1 Year (for Toyota Certified Used Hybrids program) * Warranty Deductible: $50 * Transferable Warranty * Vehicle History * Powertrain Limited Warranty: 84 Month/100,000 Mile (whichever comes first) from original in-service date * Roadside Assistance * 160 Point Inspection (for Toyota Certified Used Vehicles program), 174 Point Inspection (for Toyota Certified Used Hybrids program) OUR MISSION IS TO SIMPLY BE THE BEST IN EVERY AREA OF OUR BUSINESS. WE WILL ACCOMPLISH THIS BY PROVIDING THE MOST EXCEPTIONAL CUSTOMER EXPERIANCE, BEING THE BEST PLACE TO WORK, AND STRONGLY SUPPORTING OUR COMMUNITY, ALL WHILE WORKIKG TOGETHER AS ONE WALKER!! Black w/Sport Fabric Softex-Trimmed Front Seat Trim. CARFAX One-Owner. Clean CARFAX. Certified. 2016 Toyota Camry White SE 2.5L I4 SMPI DOHC 6-Speed Automatic FWD Toyota Combined Details: * 160 Point Inspection (for Toyota Certified Used Vehicles program), 174 Point Inspection (for Toyota Certified Used Hybrids program) * Vehicle History * Limited Comprehensive Warranty: 12 Month/12,000 Mile (whichever comes first) from certified purchase date. Roadside Assistance for 1 Year (for Toyota Certified Used Vehicles program), Limited Comprehensive Warranty: 12 Month/12,000 Mile (whichever comes first) from certified purchase date. Battery 8 years/100,000 miles (whichever comes first) from original in-service date. Roadside Assistance for 1 Year (for Toyota Certified Used Hybrids program) * Roadside Assistance * Warranty Deductible: $50 * Powertrain Limited Warranty: 84 Month/100,000 Mile (whichever comes first) from original in-service date * Transferable Warranty OUR MISSION IS TO SIMPLY BE THE BEST IN EVERY AREA OF OUR BUSINESS. WE WILL ACCOMPLISH THIS BY PROVIDING THE MOST EXCEPTIONAL CUSTOMER EXPERIANCE, BEING THE BEST PLACE TO WORK, AND STRONGLY SUPPORTING OUR COMMUNITY, ALL WHILE WORKIKG TOGETHER AS ONE WALKER!! Ash w/Leather Seat Trim. CARFAX One-Owner. Clean CARFAX. Odometer is 21852 miles below market average! Certified. 2015 Toyota Camry Celestial Silver Metallic XLE 2.5L I4 SMPI DOHC 6-Speed Automatic FWD Toyota Combined Details: * Warranty Deductible: $50 * Roadside Assistance * Powertrain Limited Warranty: 84 Month/100,000 Mile (whichever comes first) from original in-service date * 160 Point Inspection (for Toyota Certified Used Vehicles program), 174 Point Inspection (for Toyota Certified Used Hybrids program) * Vehicle History * Transferable Warranty * Limited Comprehensive Warranty: 12 Month/12,000 Mile (whichever comes first) from certified purchase date. Roadside Assistance for 1 Year (for Toyota Certified Used Vehicles program), Limited Comprehensive Warranty: 12 Month/12,000 Mile (whichever comes first) from certified purchase date. Battery 8 years/100,000 miles (whichever comes first) from original in-service date. Roadside Assistance for 1 Year (for Toyota Certified Used Hybrids program) OUR MISSION IS TO SIMPLY BE THE BEST IN EVERY AREA OF OUR BUSINESS. WE WILL ACCOMPLISH THIS BY PROVIDING THE MOST EXCEPTIONAL CUSTOMER EXPERIANCE, BEING THE BEST PLACE TO WORK, AND STRONGLY SUPPORTING OUR COMMUNITY, ALL WHILE WORKIKG TOGETHER AS ONE WALKER!! Black w/Sport Fabric SofTex-Trimmed Front Seat Trim. CARFAX One-Owner. Clean CARFAX. Odometer is 3390 miles below market average! Certified. 2017 Toyota Camry Black SE 2.5L I4 SMPI DOHC 6-Speed Automatic FWD Toyota Combined Details: * Transferable Warranty * Limited Comprehensive Warranty: 12 Month/12,000 Mile (whichever comes first) from certified purchase date. Roadside Assistance for 1 Year (for Toyota Certified Used Vehicles program), Limited Comprehensive Warranty: 12 Month/12,000 Mile (whichever comes first) from certified purchase date. Battery 8 years/100,000 miles (whichever comes first) from original in-service date. Roadside Assistance for 1 Year (for Toyota Certified Used Hybrids program) * 160 Point Inspection (for Toyota Certified Used Vehicles program), 174 Point Inspection (for Toyota Certified Used Hybrids program) * Roadside Assistance * Vehicle History * Warranty Deductible: $50 * Powertrain Limited Warranty: 84 Month/100,000 Mile (whichever comes first) from original in-service date OUR MISSION IS TO SIMPLY BE THE BEST IN EVERY AREA OF OUR BUSINESS. WE WILL ACCOMPLISH THIS BY PROVIDING THE MOST EXCEPTIONAL CUSTOMER EXPERIANCE, BEING THE BEST PLACE TO WORK, AND STRONGLY SUPPORTING OUR COMMUNITY, ALL WHILE WORKIKG TOGETHER AS ONE WALKER!! Black w/Sport Leather-Trimmed Ultrasuede Seat Trim. Recent Arrival! CARFAX One-Owner. Clean CARFAX. Odometer is 8119 miles below market average! Certified. 2016 Toyota Camry Gray XSE 2.5L I4 SMPI DOHC 6-Speed Automatic FWD Toyota Combined Details: * Limited Comprehensive Warranty: 12 Month/12,000 Mile (whichever comes first) from certified purchase date. Roadside Assistance for 1 Year (for Toyota Certified Used Vehicles program), Limited Comprehensive Warranty: 12 Month/12,000 Mile (whichever comes first) from certified purchase date. Battery 8 years/100,000 miles (whichever comes first) from original in-service date. Roadside Assistance for 1 Year (for Toyota Certified Used Hybrids program) * Powertrain Limited Warranty: 84 Month/100,000 Mile (whichever comes first) from original in-service date * Vehicle History * Warranty Deductible: $50 * 160 Point Inspection (for Toyota Certified Used Vehicles program), 174 Point Inspection (for Toyota Certified Used Hybrids program) * Transferable Warranty * Roadside Assistance OUR MISSION IS TO SIMPLY BE THE BEST IN EVERY AREA OF OUR BUSINESS. WE WILL ACCOMPLISH THIS BY PROVIDING THE MOST EXCEPTIONAL CUSTOMER EXPERIANCE, BEING THE BEST PLACE TO WORK, AND STRONGLY SUPPORTING OUR COMMUNITY, ALL WHILE WORKIKG TOGETHER AS ONE WALKER! !